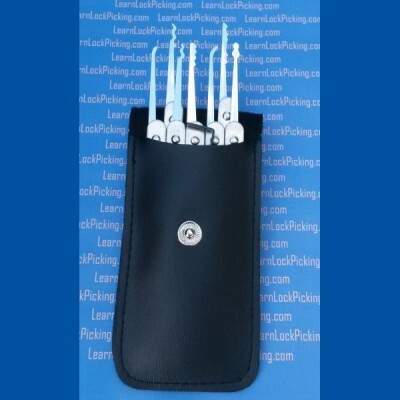 Professional quality 8 piece lock pick set with a unique polished chrome plated finish. Smooth finish glides easier than stamped steel lock picks. Stainless steel handles are riveted, not spot welded. Chrome and stainless steal to resist corrosion. With reasonable care, these lock picks will last for many years. 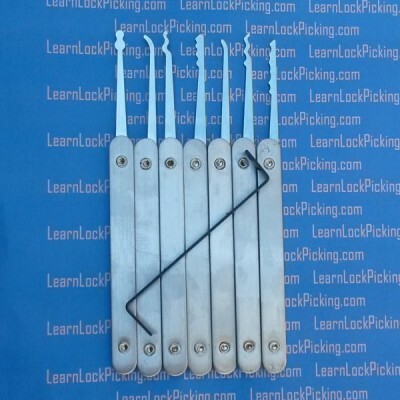 SKU: 8PickSet. Category: Lock Picks. Brands: A1. Priced similarly to lower quality pick sets, this 8-piece set offers the finest in quality materials including stainless steel handles and a unique chrome plating process. 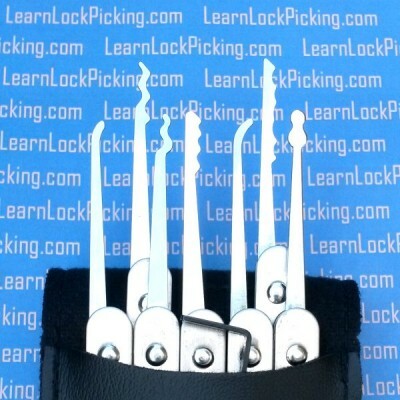 Unlike other beginner sets, this set is fully polished which makes a big difference in how smoothly the picks operate inside the lock. Unlike spot welded handles, these fully riveted handles will never come apart. 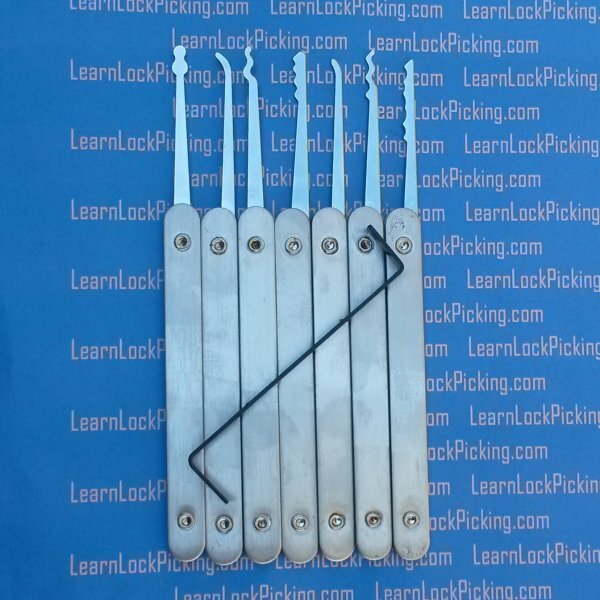 The chrome and stainless will both resist rust and corrosion better than other sets you will find and the use of Chrome over spring steel provides a stiffer and more durable lock pick than stainless steel picks. If treated with care, these picks can be expected to last for many, many years. Case included.